What is an appraisal for a home? Simply, it is one of the last pieces in obtaining a home mortgage, but a big one! The appraisal establishes the “value” of the home being purchased compared to the purchase price and the amount of the mortgage. Numerous factors come into play when a lender makes their commitment to finance a home loan. Lenders investigate at a borrower’s financial picture, including information such as income, standing debt, and savings. They also evaluate a borrower’s credit; good credit is vital to securing a home loan. Other factors, such as a steady employment history, go toward a lender’s decision on whether a prospective borrower is a good risk for a loan. As part of the mortgage loan process, lenders need to know that the “value of a home” being purchased compares to the purchase price. An appraisal establishes a homes value for the lender. 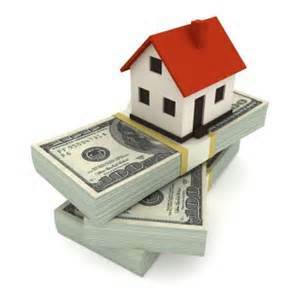 To ensure the creditability for lenders, appraisals are done by a state licensed appraisers. Appraisers will review the home against “comparable” homes sold in the local area or neighborhood and give their opinion of its value. Their opinion is documented in a written report when their work is completed. So, what is an appraisal? It is a licensed appraiser’s opinion of the value of a home in the area is is located under current real estate market conditions. If a home doesn’t appraise for at least the purchase price, lenders won’t lend. As a home buyer, you will be provided a copy for the appraisal. You paid for it, you own it. But you can’t order the appraisal! If the home you want to purchase, doesn’t appraise, talk with your Realtor about getting a price adjustment from the seller. Whenever you are selling a home, you want to price your home at its fair market value in the current real estate market conditions. This should be done for two reasons. 1 – To attract buyers to your home. If the price is “over the market” in your area, buyers will likely exclude it from their home search. Most buyers have a price range in which they look. If a home is priced out of that range, they may not even take the time to look. 2 – Obviously, if the buyer is financing the purchase, the home must appraise at or above the purchase price in order for the buyer to obtain a mortgage. As a seller, it is important to select a Realtor with the professional skills to work with in setting the selling price for your home in the current market conditions. In a situation where there haven’t been any homes recently sold in your area, it may be appropriate to have an appraisal to validate your selling price. Discuss this option with your Realtor to determine if the expense is worthwhile. Most Realtors are qualified to establish the “market value” and listing price for a home. If you and your Realtor elect to have a “pre-listing” appraisal done here are a few points pay particular attention to in the appraisal report. Verify square footage, number and type of rooms, date of original construction, and all basic features of the property. Be sure that any updates or renovations are included in the appraisal report. Point out any inaccuracies to the appraiser and have the report updated as needed. You won’t be able to influence the appraiser that prepares the appraisal report, but here are some home appraisal tips that might help. Whether buying or selling a home, select a Realtor as you would an accountant, attorney or a trusted adviser. Select them because you are confident they are experienced and honest. They will be able to answer the question – what is an appraisal – and other questions about buying or selling a home in Tucson AZ. Give us a call to get answers to your questions. Are you considering the purchase of a home in Tucson AZ Or selling a home you have in Tucson? We can help!